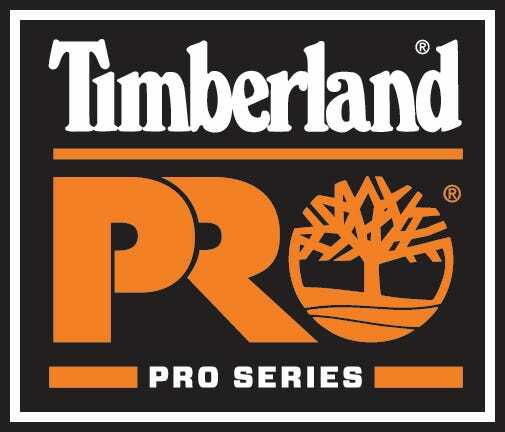 Timberland PRO Men's TiTAN 47028 Brown Alloy Toe Oxford Work Shoes are part of the TiTAN collection. The uppers have soft leather that starts pampering your feet the minute you put them on. You don’t have to be uncomfortable just because you’re wearing safety ... (see full details) (see specifications) #TMBTB047028210. Timberland PRO Men's TiTAN 47028 Brown Alloy Toe Oxford Work Shoes are part of the TiTAN collection. The uppers have soft leather that starts pampering your feet the minute you put them on. You don’t have to be uncomfortable just because you’re wearing safety toe shoes. Timberland made sure of that. These alloy safety toes are lightweight and are built to give you more room. When you go to work, there’s a reason you don’t wear your bedroom slippers. They might be nice and comfy at home, but at work, they just don’t cut it. You need lightweight, durable work shoes that will protect your feet and still let them flex. This alloy toe footwear provides you with the comfort and protection that working people need from their footwear. From the full-grain leather upper to the rubber outsoles, they have everything you need. The PowerFit comfort system used to make these brown shoes is designed for all-day cushioning. The breathable air mesh lining pulls dampness away from your feet so they feel better in these safety toe shoes. The antimicrobial treatment helps control odor. The contoured open-cell polyurethane footbed with Outlast Adaptive Comfort technology helps your feet breathe and keep your feet dry. The polyurethane midsoles are, you guessed it, comfortable. The nylon diffusion shank balances the load on your foot and keeps you more stable. These Timberland 47028 Brown Safety Toe Men's Shoes have rubber outsoles that are abrasion-, slip- and oil-resistant. They are also have electrical hazard protection against open circuits. There’s a lot of technology built into this Timberland PRO style to make your feet feeling great. Just finishing up with my second pair of these Timbrland PRO safety toe Power Fit leather work shoes 47028 in 6 years - very hard usage at a food manufaturing plant with harsh wash down chemicals. I am so happy to be able to find these again. I usually get a new pair when I figure I have a few months left and shine them up to wear for casual use while they break in so they'll be ready for 12+ hour days. Best work foot wear I've ever worn; they are very comfortable and much lighter than steel toes. I've had a pair of these on 6 to 7 days a week and my feet are very happy. These boots are great! I have gotten 5 pairs of these shoes in the last 7 years. They last up to 2 years. The only reason I get a pair every year is my company buys us a new pair. I work 12 hour shifts and not very often I come home with sore feet. Probably just from the 12 hours. These boots are definatly worth the try. I really liked the look and feel of this boot. I purchased them because they look good enough to wear in the office and at client meetings. I have worn them exclusively for a year, mostly in the field. They are extremely comfortable. They have gone through everything from demolition to the finishing touches. Unfortunately, the leather has worn away on the top and the steel toe is showing. I was hoping that they would last longer then they did. They are an excellent choice if you are only occasionally on the job. Good looking boot that fits great and comfortable while I go thru my everyday grid in my business. I'm in and out of the warehouse. Driving my car. Entertaining clients. I expect it buy my employees a pair. Very loyal guys. Timberland PRO Boots: Men's TiTAN 47028 Alloy Toe Oxford Work Shoes is being added to your cart.